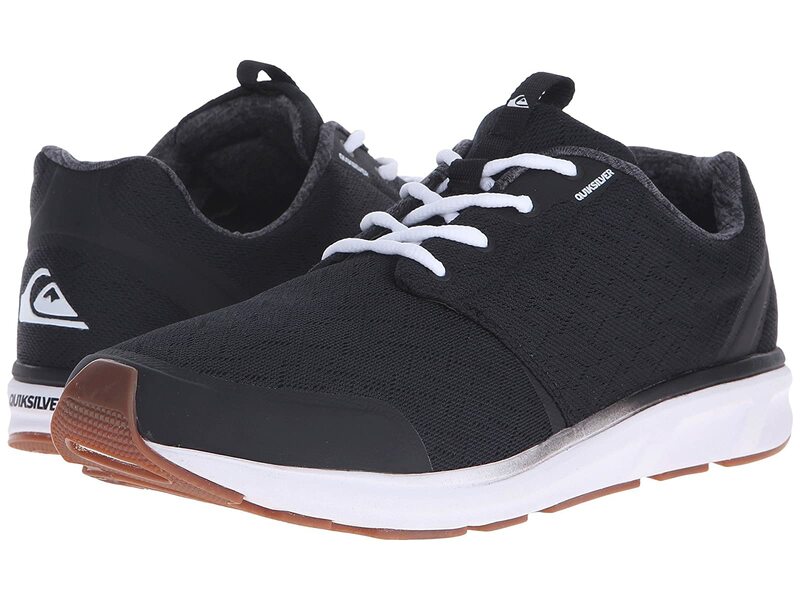 The Voyage begins with the athletic design of these sweet Quiksilver® shoes! Welded support structure for a performance fit. Cinch lock laces from the AG47 boardshort. Mesh liner for comfort and breathability. Ultra-cushioned midsole with S-wave technology. Arch support for all-day comfort. Outsole engineered for sand, trail, or street running.